To ensure revision of processing onboard sequence stated in the contract prior to the start of the job. Revision for final list deliverables with Repsol SEDQA group and the contractor. Minimum 5 years of experience as a processing supervisor for 3D Marine projects. BSc in Geophysics, Electronic Engineering degree, Computer Science or equivalent qualification. To comply with local requirements regarding mitigation measures established in the permits. To ensure JNCC guidelines are followed by key personnel on the main seismic vessel considering the particulars of the survey and the importance of the survey area for marine mammals. To ensure Environmental Impact Assessment Study (ESHIA) mitigation measures for marine mammals are implemented. To report level of compliance according to JNCC guidelines and the Company minimum environmental performance practices. To record the sightings and behaviors of marine mammals according JNCC guideline appendices. Minimum 8 campaigns ~240 days experience as marine mammal observer. University degree as Biologist of related field mandatory.OVID Auditor experience is mandatory. JNCC Marine Mammal Observer training course or any other recognized MMO training mandatory. To conduct an audit of the seismic contractor’s energy source, recording equipment, integrated navigation system (INS) and positioning equipment to ensure compliance with manufacturer’s specifications and Company’s requirements. All personnel must be fit in accordance with UKOOA or equivalent medical requirements validity limited to 1 year after day of certification. To review the most recent OVID/IMCA inspection reports of all vessels, state any major nonconformance found that may compromise the safety of the vessels. To ensure that Contractor has prepared an action plan that demonstrates items of non-conformance will be attended to in a suitable time frame. Chief, Vessel Captain or Vessel Manager. Thanks for reading Talisman Energy Indonesia Jobs: 4 Positions. Please share...! 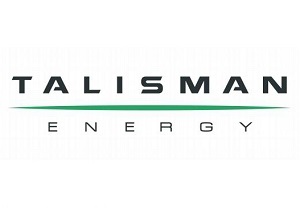 0 Comment for "Talisman Energy Indonesia Jobs: 4 Positions"